Alex O’Hara finally gets a case that will give her bottom line a much needed boost. She might even be able to change her diet from ramen noodles to prime rib. All she has to do is track down a man who’s been missing for over ten years. Piece of cake… until an old flame arrives and a mugger roughs her up with orders to back off. It takes place in West Michigan in a resort town similar to where I live. Although Fair Haven is a fictitious place, if you want to know where it’s “located”, draw a line from Grand Rapids to Lake Michigan. Settlers from The Netherlands came to West Michigan in the 1800s. You can see their influence in the names of villages, cities, and streets. Like Holland, Zeeland, Vriesland. Their cultural influences can be felt, too. Scrupulously clean (“scrubbing Dutch”), conservative and thrifty. Not bad values. If you aren’t Dutch, you aren’t much. That used to be the attitude of natives to newcomers to the area. Nowadays (love that word) there are so many newcomers and we add so much to the economy we’re pretty much tolerated. 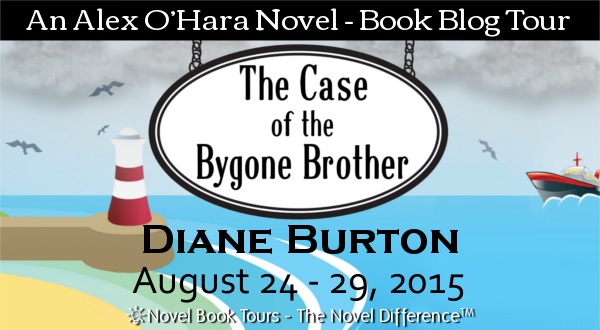 LOL The main character in Bygone Brother, female PI Alex O’Hara, is red-headed Irish in a sea (lake?) of Dutch blondes. Both sides of my family have Dutch ancestors. That means I get to park in the “Dutch Only” parking spaces in front of my favorite Dutch bakery. I used family names for many characters in THE CASE OF THE BYGONE BROTHER, including the last name of the title character, Harry Anslyn. My great-grandmother was an Anslijn (Dutch spelling); her father Louis fought in the Civil War, and his father Nicolas was appointed Vice Consul from The Netherlands to the state of Iowa in 1857 by President James Buchanan. That proclamation, which my mom found in my grandmother’s papers, started me exploring my family tree. More relatives’ names will appear in future Alex O’Hara books. I grew up in the Detroit-area and have lived in Portage (MI), Sedalia (MO) as well as a brief stint in Chicago-land. I’ve been a Parks & Recreation supervisor, an inventory clerk for a flute store, and a long-time volunteer for Girl Scouts. My last job was for an oil and gas exploration company where I discovered the cure for insomnia—reading oil and gas leases. My longest-running gig was as a teacher where I taught elementary kids for over 10 years. 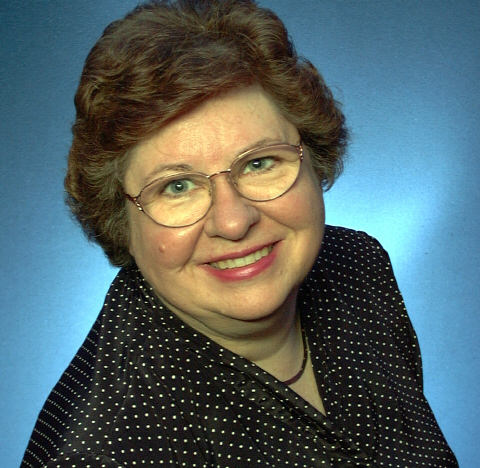 I am a member of Romance Writers of America and the Mid-Michigan and Fantasy, Futuristic & Paranormal chapters of RWA. I met my own hero on a blind date. It was love at first sight–for me. It took him a little longer. We currently reside in West Michigan and have two grown children and three delightful grandchildren. I’ve been a reader all my life, and I love movies, especially action adventure, mysteries, science fiction, and romantic comedy. Castle, Firefly, and NCIS are my favorite TV shows. So is it any wonder that I write science fiction romance and romantic suspense, both with comedic elements? Kristy, thanks so much for having me on your blog today. Wonderful post. Sounds like a great book! I’ve got to get this! I love the humor in your contemporaries. I always think it’s so cool when people know a lot about their family history, but I’ve never found the time to look into my own. Really history is made up of individual stories, so it should appeal to a writer. I also found it interesting that you lived in Sedalia as I’m from St. Louis. Can’t wait to read this. Sounds so cute! MJ, it’s taken 40 years (on & off) to learn about my family. I never liked history until I could relate it to family. Yep, we lived in Sedalia (home of the MO state fair) for 6 years and my mom grew up in St. Louis. Small world. Loved this book! Can’t wait for the next one. And I know how Alex feels – growing up in Grand Rapids, our family always stood out in the sea of blonde Dutchmen (and women). I thought you’d appreciate that tidbit, Patty. 🙂 Interestingly, my Dutch ancestor was tall with dark hair. I guess some Dutch aren’t blond. This sounds delightful. The background on the area makes me think of the Czech communities in Ohio where my dad grew up. That is interesting, Marissa. So many of the old communities have changed and no longer contain the culture of the original settlers. I’m so glad West Michigan hasn’t lost that. Love how you tied the family names in- sounds like a great story! Thanks, Maureen. It was fun. I didn’t know that, Leah. Two towns north & south of my fictional one are called South Haven and Grand Haven. Fair Haven seemed to fit. Loved this book! Diane, there is a real Fair Haven in New Jersey. It’s a little town on the Central Jersey Shore about 50 miles ( ish ) from NYC. I got a kick out of your fictional version. I think it’s fun to read stories set in places I’m familiar with, and I love that area across from GR! 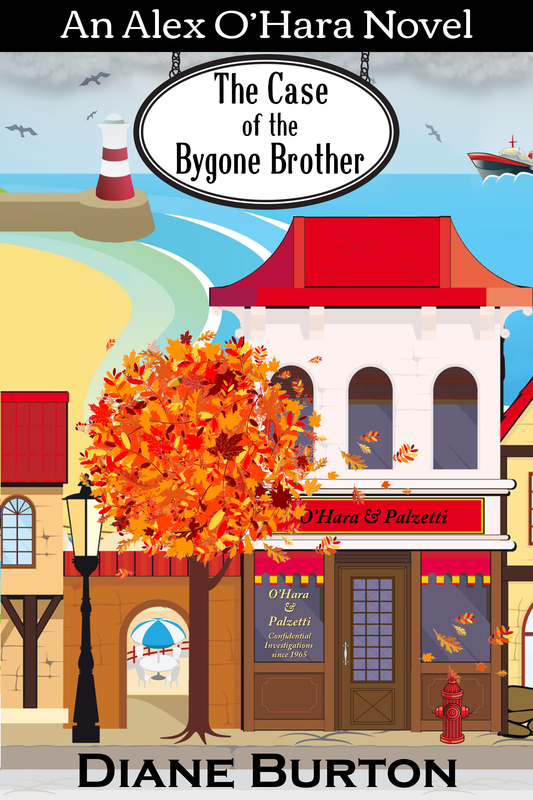 Bygone Brother sounds like a great start to the new series. Thanks, Lucy. It was fun to write about the area. That’s why I like Maris Soule’s books that are set in Michigan. What a cute excerpt! I’ve had the opportunity to travel to the Netherlands and love the Dutch, Amsterdam, Kinderdijk and all its quaintness and beauty. Looks like a great read. Thanks, Judy. Visiting The Netherlands is on my bucket list. Diane, I loved your excerpt and your humorous writing style. It sounds like a great book. Thanks for sharing the interesting information about your background. Thanks, Marilyn. I had a lot of fun writing this book. Love the excerpt and characters who are not perfect. I learned about the Dutch in your setting–something new! Good post. So sorry I’m late…what fun facts. Wow, I didn’t realize all the ‘Dutch’ details. Very cool. LOL. I definitely had no idea there were ‘Dutch Only’ parking spaces in front of a Dutch bakery. LOVE this book…best of luck on the tour! SO sorry I’m late. Hectic past few days. 😦 Ha, what a fun blog post. Interesting facts. I had no idea that there were ‘Dutch Only’ parking spaces in front of a Dutch bakery, LOL. LOVE this book…best of luck on the tour! I am Dutch!! ❤ I also did a double degree exchange program in Grand Rapids, MI. It was so funny seeing so many Dutch last names, I even heard this very old couple speaking in Old Dutch. Also very awesome how there are small sections in the grocery stores that sell Dutch products. I’m so glad you commented. I’ll bet that was a surprise for you to hear Old Dutch. Thanks for stopping by.